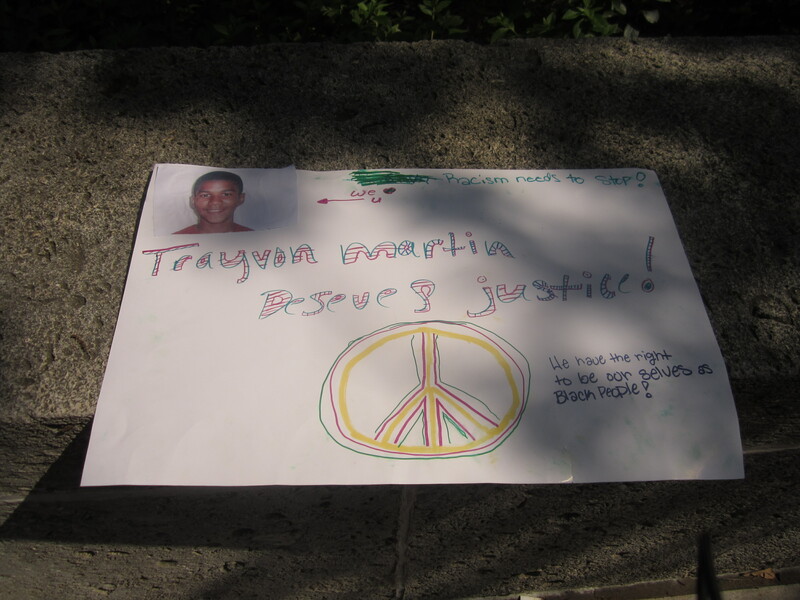 This past Sunday afternoon, I attended a rally in at Houston City Hall calling for justice in the case of Trayvon Martin. 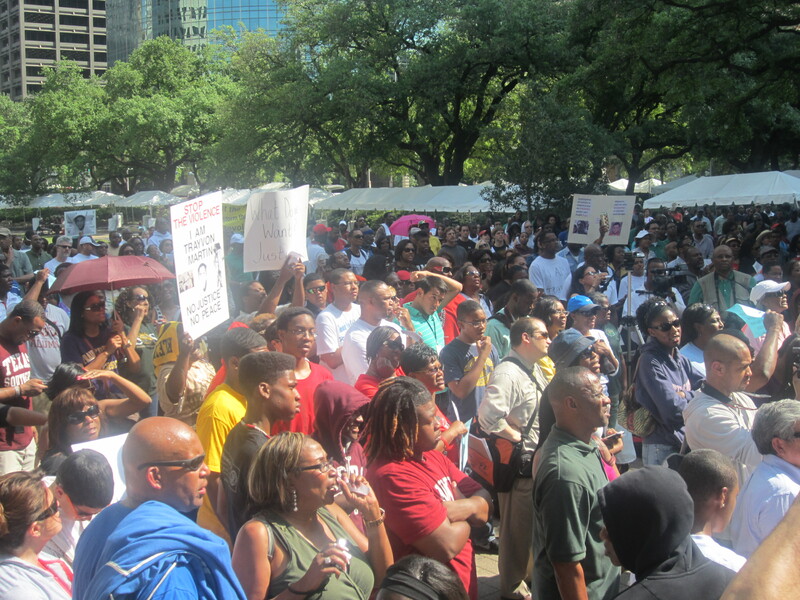 This rally was organized by the Houston NAACP and by LULAC in Houston. I went to this protest and took some pictures. The Trayvon Martin shooting , which took place in Sanford, Florida, is relevant to Houston because everything is connected. 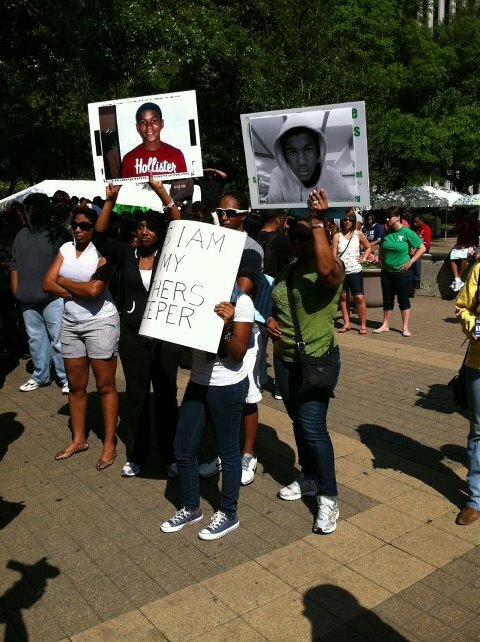 The killing of Trayvon in Florida could happen to a young person any place in our nation. Above you see a picture of the Houston rally. There were estimates that 1,000 people showed up. Most of the people were black. But by no means were all the people at the rally black. What people wanted at this protest was simple. They wanted peace, justice, an end to racism, and the right to be who they are. These are goals as American as apple pie. These citizens made their own signs and came on down to the rally. You will see that one of the signs indicates that the person holding the sign is his or her brother’s keeper. What could be more basic and accurate? 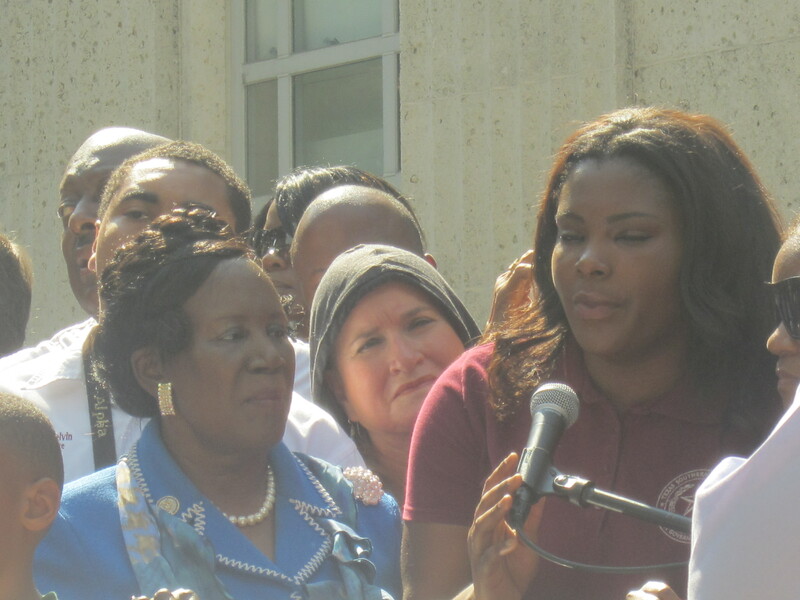 Among the speakers at the rally were Congressperson Sheila Jackson Lee in blue, former Harris County Commissioner Sylvia Garcia in the hoodie, and two students from Texas Southern University. The young lady in red is a TSU student. I’m sorry that I did not catch the names of the two young people from TSU, but they did a good job at the podium. In addition to Congressperson Jackson Lee and Ms. Garcia, Richard Shaw from the Harris County, Texas AFL-CIO was present. I do regret that while many local black officeholders were at the event, that white and Hispanic elected officials did not seem to be present. It is especially confusing that Houston Mayor Annise Parker was not there, or that she could not send a representative. Mayor Parker, a so-called Democrat, was in 2011 able to attend the Reagan-Lincoln Day fundraiser of the Harris County Republican Party. What Mayor Parker needs is a challenger from the left in 2013. 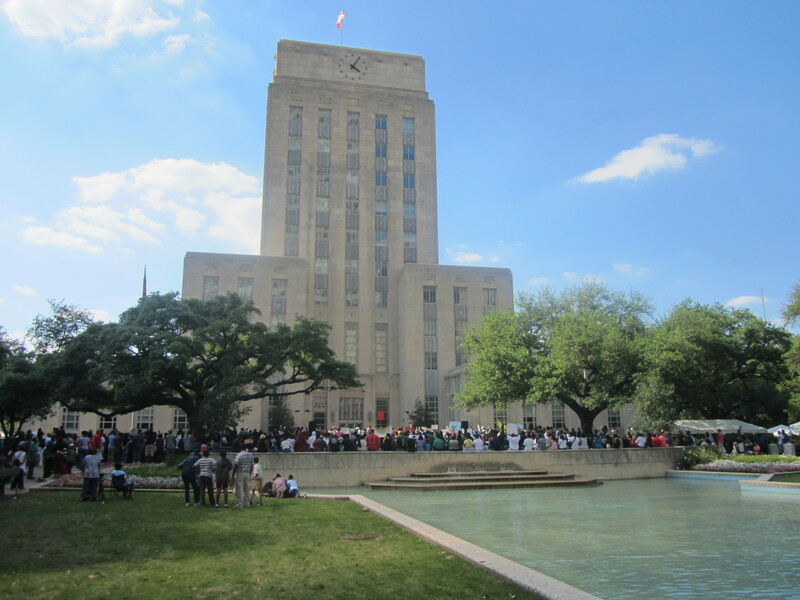 While there was a strong crowd at City Hall last Sunday, there is always room for your involvement. 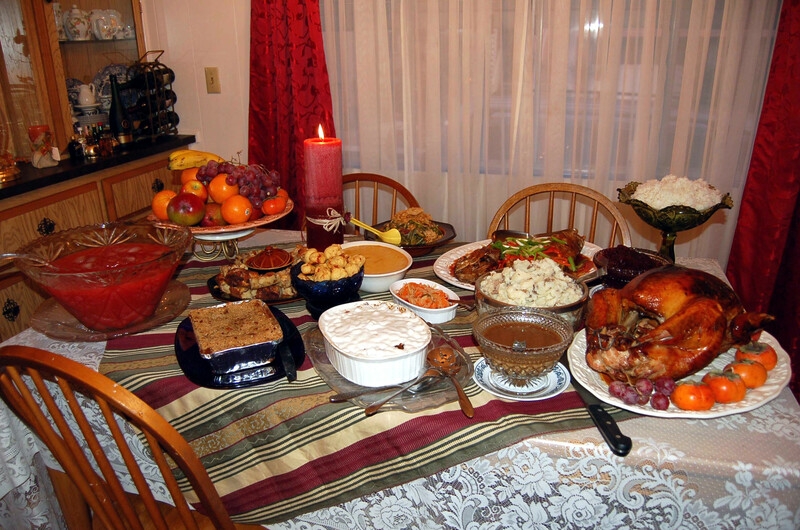 The conviction of former U.S. House Majority Leader Tom DeLay of Sugarland, Texas right before Thanksgiving Day last month was a wonderful Thanksgiving offering. Tuesday’s indictment of Republican Harris County Commissioner Jerry Eversole for bribery and income tax charges is indeed a Christmas gift. Mr. Eversole has pleaded not guilty. I’m sorry to say that Mr. Eversole is my Harris County Commissioner. I’m sure the Tea Party—If it even exists anymore—will be focusing their energies on Mr. Eversole real soon. Let’s hope that after this gift of an indictment is unwrapped we will find that it contains a conviction. I’m not glad that Mr. DeLay and Mr. Eversole are in hot water simply because they are Republicans. I don’t think all Republicans are crooks. What I’m glad about is that wrongdoing by powerful people can be called to account, and that members of a party that calls Democrats Communists and traitors can be brought to justice. Who are the Republicans serving with Republican County Judge Executive Ed Emmett on our Harris County Commissioner’s Court? We have the indicted Jerry Eversole. And then we have incoming Commissioner Jack Morman who will replace the unelected Sylvia Garcia. I say “unelected” because Ms. Garcia would still be serving if enough Hispanics in Harris County had bothered to vote, and if the Harris County Democratic Party and the Texas Democratic Party made serious efforts to encourage Hispanic voting. These Democrats don’t want to make serious efforts because then they would actually have to address the concerns of this voting group, and because Hispanic elected officials in low-turnout one-party constituencies might face a primary challenge or might have to really talk about serious issues. As for Mr. Morman, he still has not updated his campaign web page to even address the fact that he won the election. Also, there is nothing at all on his web page that suggests at all what his views are on issues before the county. Click the link above and read it for yourself. Mr. Morman will be representing something like 750,000 people, and nobody has any idea of his positions impacting the county and he can’t even thank voters for putting him in office. What a crew of Republican alleged criminals and blank slates at our Harris County Commissioner’s Court. With customary poor turnout, potential Democratic voters in Harris County unelected Precinct 2 Harris County Commissioner Sylvia Garcia. Ms. Garcia lost to a political unknown named Jack Morman who was outspent 40-1 and who barely waged a campaign. Ms. Garcia got “unelected” more than Mr. Morman got elected. Mr. Morman was propelled by straight ticket voting. Nobody knows anything about Mr. Morman. Ms. Garcia was a competent leader who worked for her community. People have an obligation to vote. At what point do we say that people have an obligation to get to the polls? Voting is an act of personal responsibility. I’ve said many times here that local Democrats often take minority voters for granted. Yet life is a two-way street. People need to vote. Ms. Garcia was the first Hispanic elected to the Harris County Commissioners Court. Here is the campaign web page of the gentleman who beat Ms. Garcia. It says nothing at all about his plans. This guy did not have the simple respect to post on his web site any ideas at all for what he will do in an office that serves something like 750,00 people. What about the improved health care clinics and mental health efforts that Ms. Garcia had been working for in the county? I don’t think Mr. Morman has formulated a view on these questions as of yet. 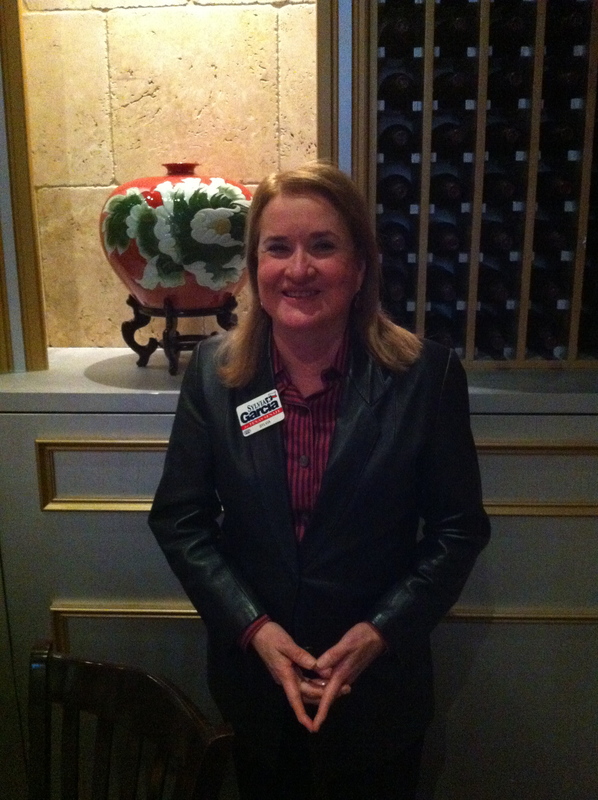 Harris County District 2 Commissioner Sylvia Garica has an opponent. 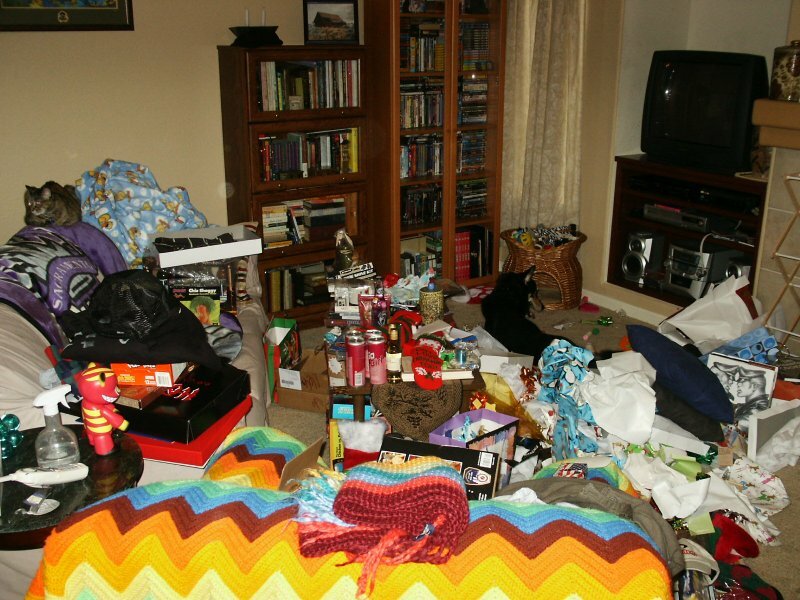 She wants you to know that she is taking nothing for granted in 2010. Commissioner Garcia can be seen here hard at work on her campaign. She is the lady in red you see through the door of her campaign headquarters. Ms. Garica represents portions of Houston and a wide variety of other communities in Harris County. 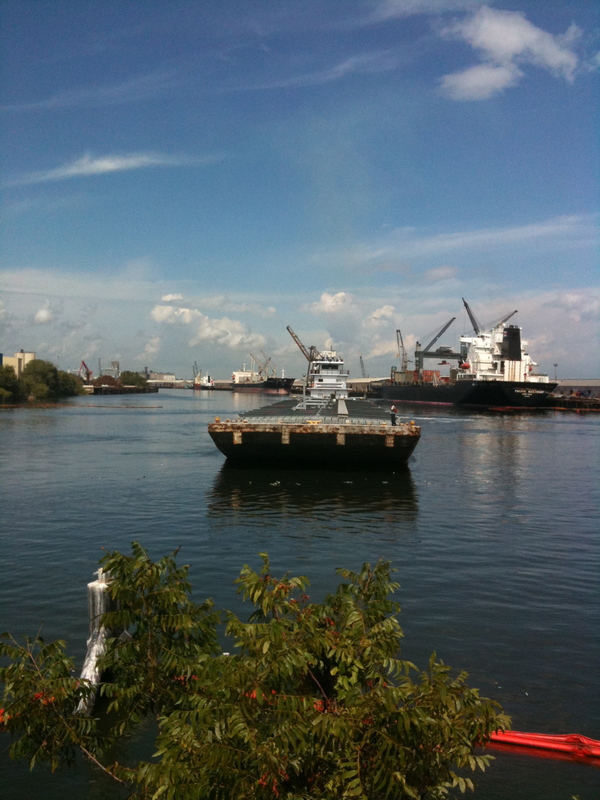 In her district is the Houston Ship Channel, the Johnson Space Center, and many refineries and chemical plants. Among other places, Ms. Garcia represents Pasadena, Webster and Galena Park. Here is Ms. Garica’s official web page. Here is Ms. Garcia’s campaign web site. In the term ahead, a focus for Ms. Garcia could be fostering a greater level of coordination and cooperation between elected Democrats in Harris County. If Democrats in the county engaged in more cooperation and long-term planning, then we might be able to register Hispanic voters in-between elections and not have the every two-year hand-wringing about where are the Hispanic voters. Why aren’t we doing the things we need to do outside of election season to make our lives easier when it is time to cast our votes? Also, additional coordination between Democrats would benefit the people of Harris County by providing a consistent level of advocacy and representation for the county, as the State of Texas prepares for massive budget cuts in the next legislative session and as far-right so-called Tea Party backed candidates are elected to Congress. There seems to be an every-person-for-themselves ethos among elected Democrats. Yet the fact is that we are all connected. Please vote in the upcoming election and please encourage others to do the same. Please consider voting for Ms. Garcia if you live in her district.